The hot months are here and food spoilage is higher than in other seasons. 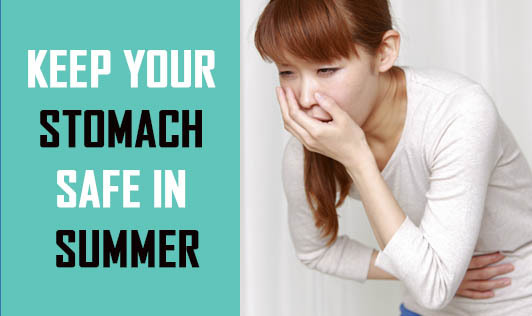 Some unlucky people might suffer from loose stools or vomiting or stomach flu as a result of eating stale or spoilt food. Avoid street (road-side) foods, unless they come from clean carts handled by clean persons. Do not eat cut fruits kept in the open for a long time. Stay away from raw foods (fresh juices, salads, etc), if you are not sure of where and how they are prepared. When you eat cooked foods, make sure they are warm / hot / freshly prepared as far as possible. Cooked foods at room temperature in hot weather speed up bacterial growth. If you feel like eating chaat, prepare it at home or buy from a clean place. Avoid pani puri (puchka / golgappa) if you are not sure of the water source. Refrigerate foods like ice-cream, cheese, cold cuts, curd, etc, at the right temperatures. Drink water or juices or lassi or milkshakes only from hygienic places. Stay safe and healthy in summer!